We love the Ladies of Jazz and we love art, what if you put the two of them together? You would have our Women and Jazz: A Celebration in Art on Pinterest! 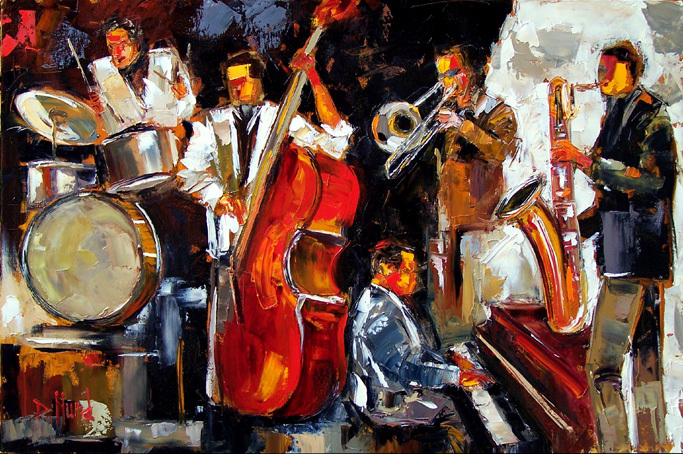 Women have always played a key role in Jazz and we have thoroughly enjoyed putting together this collection for you, please stop by an peruse through these wonderful paintings done by some incredible artists. We hope you enjoy viewing this collection as much as we have enjoyed putting it together. While you’re there, follow us and check out some of our other boards such as: Tulsa’s Jazz, Jazz Clubs, Jazz History, and many more! Check back with us regularly to keep up with our latest posts about jazz history, art, and Tulsa’s jazz community…thanks again for supporting Tulsa Jazz. While you’re there, check out our other boards as well such as: Tulsa’s Jazz, Jazz Clubs, Jazz History, and Women and Jazz: A Celebration in Art, and many more! Check back with us regularly to keep up with our latest posts about jazz history and jazz art and Tulsa’a jazz community…thanks again for your support. Music and art have always complemented each other and we have thoroughly enjoyed putting together this collection for you, please stop by an peruse through these wonderful paintings and prints done by some incredible artists. We hope you enjoy viewing this collection as much as we have enjoyed putting it together. While you’re there, check out our other boards as well such as: Tulsa’s Jazz, Jazz Clubs, Jazz History, and Women and Jazz: A Celebration in Art…and more! Check back with us regularly to keep up with our latest posts about jazz history and jazz art and Tulsa’a jazz community, thanks again for your support.